Investors looking to emigrate to the United States can now secure citizenship with this exciting New York project. 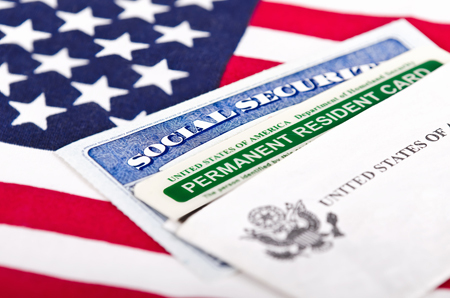 Immigration Into America welcomes investors who wish to immigrate to the United States with their family, and are seeking a direct route to permanent residency and a green card. Situated in the famed Tribeca area, this approved EB-5 project is an unprecedented opportunity to invest in a trusted luxury brand, located at the heart of the world’s most vibrant city. The new project is a luxury hotel from an internationally renowned brand. Its predominantly European venues are a favourite of American celebrities, and frequently host gala events. As well as its hotel arm, the brand also operates lavish casinos and popular restaurants. Its executive chef is a multi Michelin Star winner, and the New York project will be the first place in the United States to experience their stunning food. The project is situated in the famed community of Tribeca, close to New York’s financial district. A favourite of musicians and Hollywood celebrities, Tribeca has the highest average income of any area in the country, and a reputation for class and quality. Tribeca is also a favourite residence and dining spot for financial executives, with the New York Stock Exchange and One World Trade Center less than a mile away. The area is strictly height-controlled to retain its historic charm, but still offers views of the Statue of Liberty and cityscape. The project will be managed by a Scottish property development firm with 120 years of history, including a multitude of properties in New York and London. The construction phase will immediately fulfil the job creation requirements of the EB-5, and exceed them with staffing. Construction began in Q1 2017, with an estimated completion date of Q4 2019. As well as the involvement of two trusted development partners, the project is also being overseen by a team of highly experienced attorneys, an economist and a dedicated escrow agent. Please complete the registration process below to gain access to the complete information on this unique New York EB-5 project. Promote the EB-5 Project As An Agent.